Green building of single- and multi-family residential construction has been booming and shows no sign of slowing, a new report says. “For green building to transform the construction industry fully, the housing industry must be a core part of its growth,” report Harvey M. Bernstein, F.ASCE, LEED AP, and Michele A. Russo, LEED AP, in Green Multifamily & Single Family Homes: Growth in a Recovering Market,” conducted by McGraw Hill Construction Dodge. 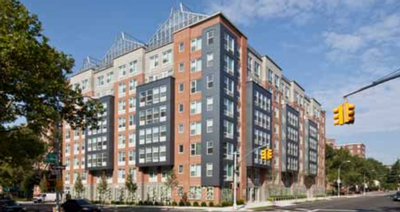 The Arbor House in the South Bronx of New York is part of the recent boom in green multifamily residential construction. The new report is based on data collected from an online survey of single family and multifamily homebuilders between December 2013 and March 2014. It outlines a variety of trends related to the green building industry along with how and why they are expected to increase through 2018. The report focuses mainly on different paths for creating green residential homes, but other report areas include: triggers for building green, recognizing the value of building green, and the projected use of renewable energy by 2016. McGraw Hill Construction started researching residential green building in 2006. Builders and remodelers in both the single- and multi-family sectors report that the market is recognizing the value of green: 73 percent of single-family builders and 68 percent of multifamily builders say consumers will pay more for green homes. The report found that developers and remodelers are influenced by three main triggers when building green: energy cost increases; code, ordinance and regulation changes; and green product availability and affordability. Energy cost increases remain an influential reason for building green, per previous surveys, according to McGraw Hill. Of those in the current survey, 73 percent found this to be highly important. The survey found that many local governments have changed codes, ordinances and regulations to require increased performance standards for buildings, thus driving the move to green architecture. Availability and affordability also influence when green building is put into practice. Builders are still quite cost conscious. If green products are not affordable, others will be used in their place, making it difficult to adhere to the push toward green. The Arbor House has a living green wall in its lobby to remove carbon dioxide from the environment. “This new study demonstrates phenomenal growth in green building, with more builders engaging in sustainable building practices than ever before,” said NAHB Chairman Kevin Kelly, a home builder and developer from Wilmington, Del., in an announcement. Customers generally request green building for better comfort and see it as a good investment, at 35 percent and 25 percent, respectively. Nearly 50 percent of single family building firms do more than 30 percent of their projects green. 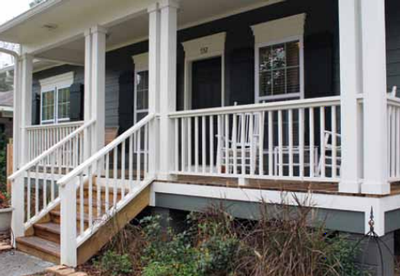 Customers were more willing to pay for a single family green home in 2013 than in 2011. This is the major reason impacting the green industry. On the single-family side, 73 percent of customers are willing to pay for green construction. The survey found 73 percent of customers were willing to pay more for new green construction compared to 61 percent in 2011. Remodels saw 79 percent in 2013 compared to 66 percent in 2011. On the multifamily side, 68 percent of builders and remodelers found customers more willing to pay for green apartment and condos than traditional. Nearly two-thirds of single and multifamily builders and developers offered renewables on their projects in 2013. In 2013, just 8 percent of builders incorporated renewables into their projects. That number is expected to more than double by 2016 with 20 percent of builders planning to use them. The kinds of renewables being used in both single and multifamily are similar, but the rate of use varies. For example, single family homes use polyvoltaic panels and ground source heat exchanges more than 25 percent of the time. These technologies are used on 25 percent of less of multifamily homes.